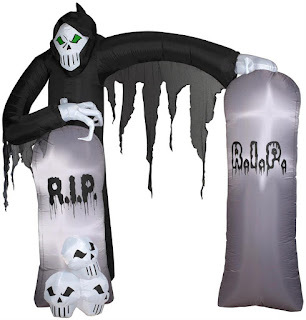 Get ready for Halloween party and get ready for spooky Halloween decoration which should surely give goose bumps to your party guests. 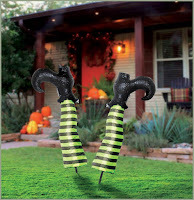 Halloween party decoration is for you to show your creativity. 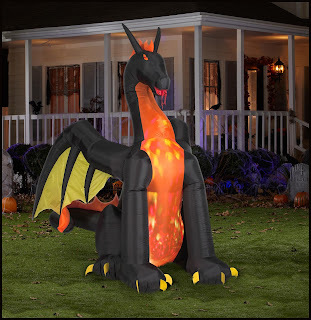 You can buy popular Halloween decoration items and put together with your home made decorative items and get a wonderful aura around you. 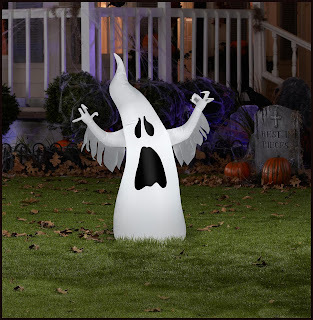 Check out below some most popular and must buy decorative items for Halloween. 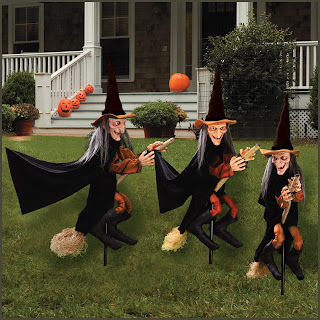 Includes: (3) witches wearing hats of black with an orange rim on plastic stakes. 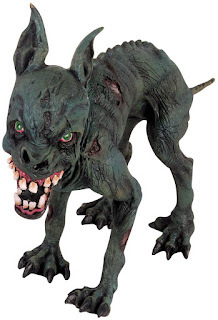 Made of plastic, latex and polyester. Witches measure approximately 29"H (33.5" with stake) x 7.5"W. *Please Note: Pumpkins in image are not included. 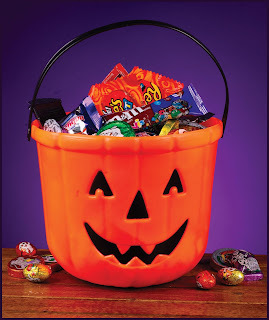 Includes plastic Pumpkin treat Bucket approximately 6.5" high x 8" wide. Has black plastic handle. 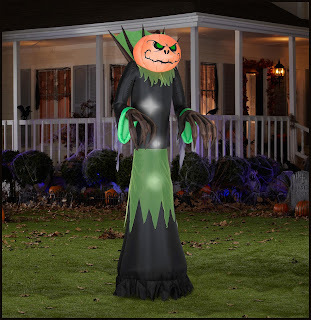 Includes one self inflating scary pumpkin reaper that inflates in seconds and lights up, plug in fan, and stakes and tethers. 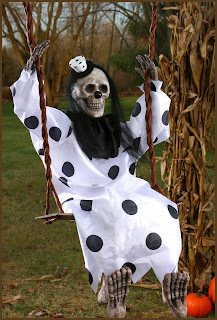 Approximate measurements: 10' H x 39" W.
Includes one self inflating dragon with flapping wings, fire storm lighting effect, stakes and tethers, and plug in fan, Approximate measurements: 9' H x 132" W.
This decoration includes a skeleton in a white and black polka dotted clown outfit with matching hat attached to a swing. Includes two hooks to hang swing from. Airblown Figurine with Internal Lights, Fan, Cord, Tether Stakes and Plug-In.